To round up my Trend Alert Series, I put together the other major trends for fall/winter 2017/18. If you bought a floral dress for summer, combine it with a knitted cardigan and some knee-high boots because floral prints are still a thing for the cold season. The same goes for your mid-length skirt they are also here to stay. Good news, although it is the cold season you don't have to look like a giant teddy bear in your winter coat. This season your wear your coat with a belt so you can still show off your summer body. Oh, and you don't only belt your winter coat but also your sweaters, blouses, blazers and everything else you can wear with a wide belt. Therefore, you might want to invest in a wide belt or two for this fall/winter season. Below you can see my favourite looks rocking one of these trends. 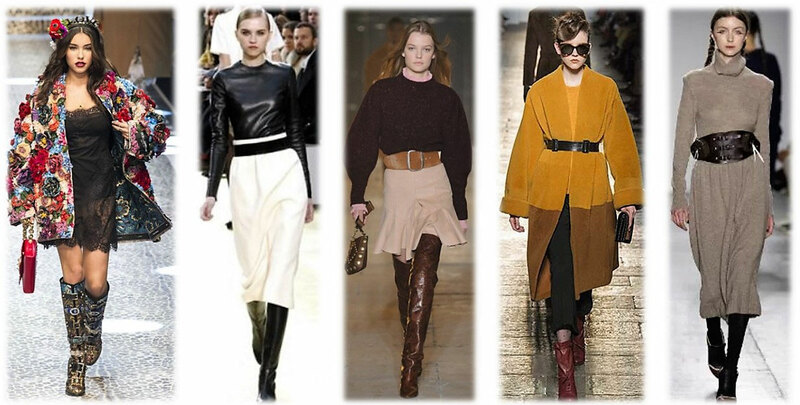 What is your favourite fall/winter trend?